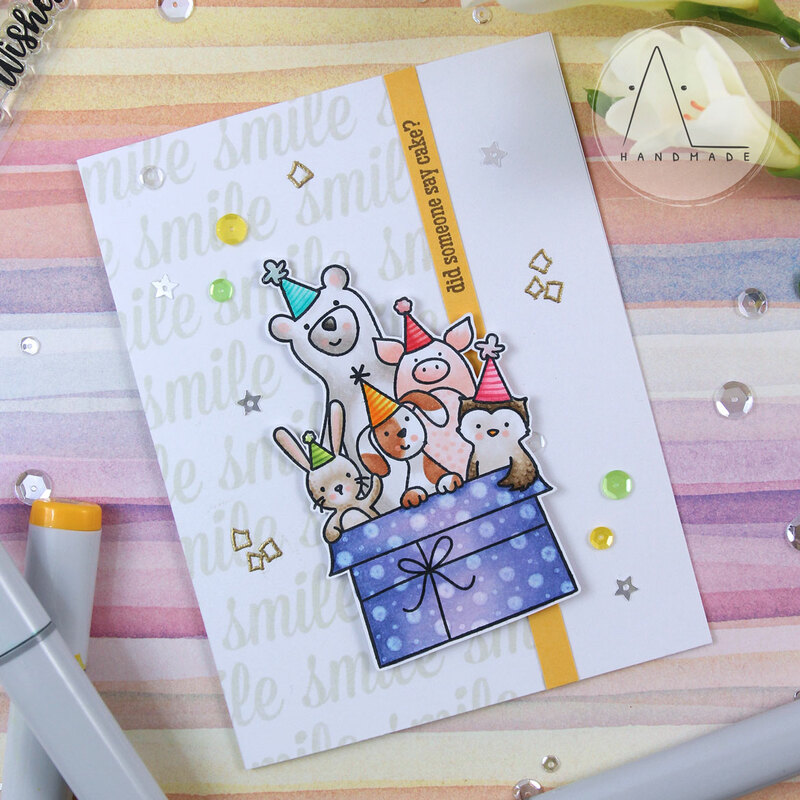 To create this card, I stamped the Critter Crew with Memento Tuxedo black ink and colored it with my Copics, adding some details to the images for an eye-catching look. When my coloring was done, I carefully fussy cut it. 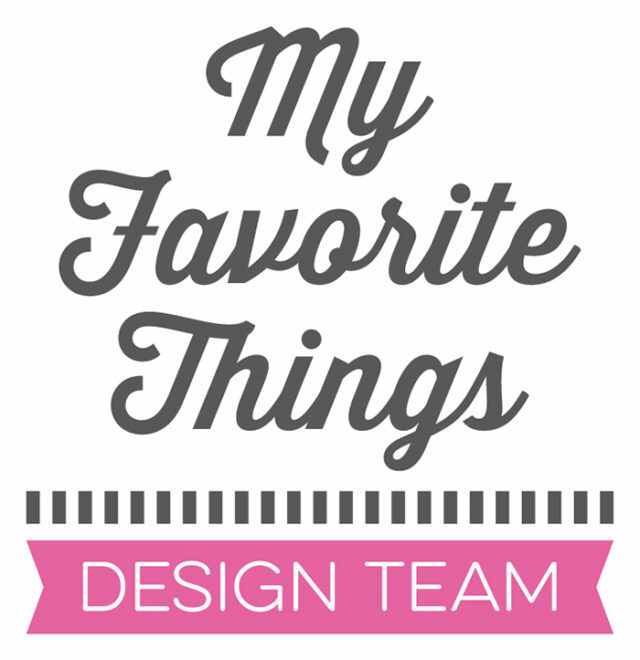 Then, I masked a card base – at about three-quarters width – and created a custom background stamping the sentiment “smile” several times into rows. This sentiment is from the Oh Yeah set by Avery Elle – one of the very first stamp sets that I ever had. I stamped the main sentiment on a strip of yellow cardstock and placed it next to the stamped background. Finally, I mounted the happy Critter Crew on my card base using foam tape for dimension and heat embossed some confetti in gold as embellishment. I also added some vibrant sequins from the Lemon Lime Sequin Mix by Neat and Tangled and a couple of sparkling clear stars sequins by Pretty Pink Posh. 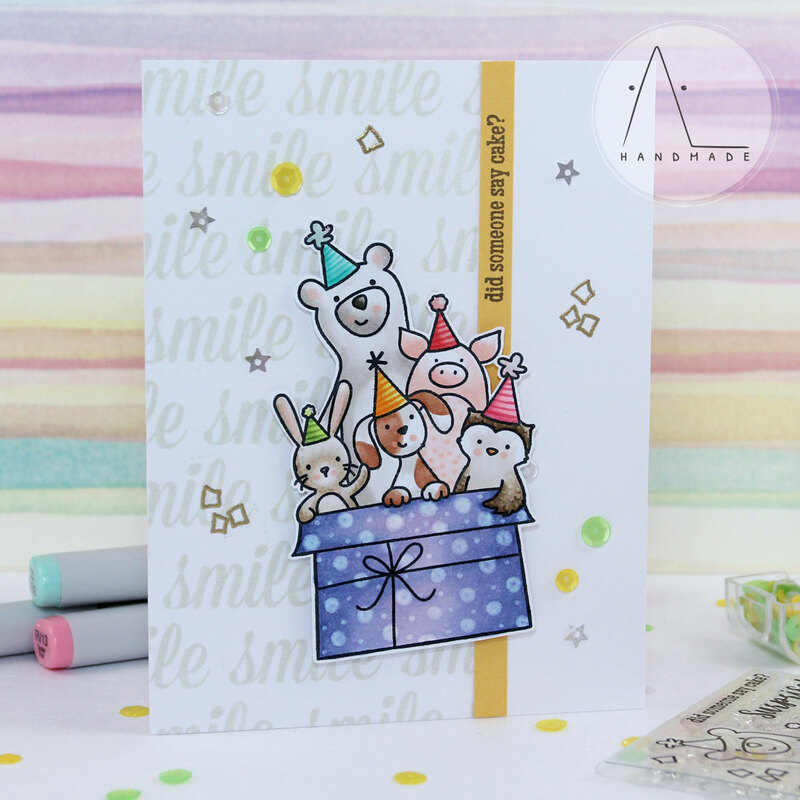 Purple Onion Designs | It’s your birthday… smile!